It’s been a long, tough week besides being a summer of BIG changes – one child off to college, one a junior at high school, perhaps the only continuum, and my baby off to Kindergarten. It’s happy stuff, and yet, intensely sad. As Washington Post writer, Michael Gerson, so aptly observed, the step into college of your child, is the end of his or her uncounted days with you. From here on, we stand aside and let them go headlong, to pursue their dreams and futures – all far easier said than done. The love never lessens, but the eagerness to be completely involved must be dampened, at least on our part. It’s just been a week now, so the feelings are intense. As for my KG, that is as big a wrench as this is the first journey towards establishing herself in the world. Put like that, it seems like a pretty daunting task for a 4+yt old. But here I am, finally with my one consolation prize – writing more or getting back into the swing of things. My garden gives me a lot of pleasure, with the fairly good yield, altho much of our plants have had to deal with an extremely intemperate summer and way too much rain to fully flourish. But we take what we can get and are grateful for it. The idea to make herb and spice infused olive oil came from a visit to a restaurant where they had mixed herbs into a butter and cheeses. 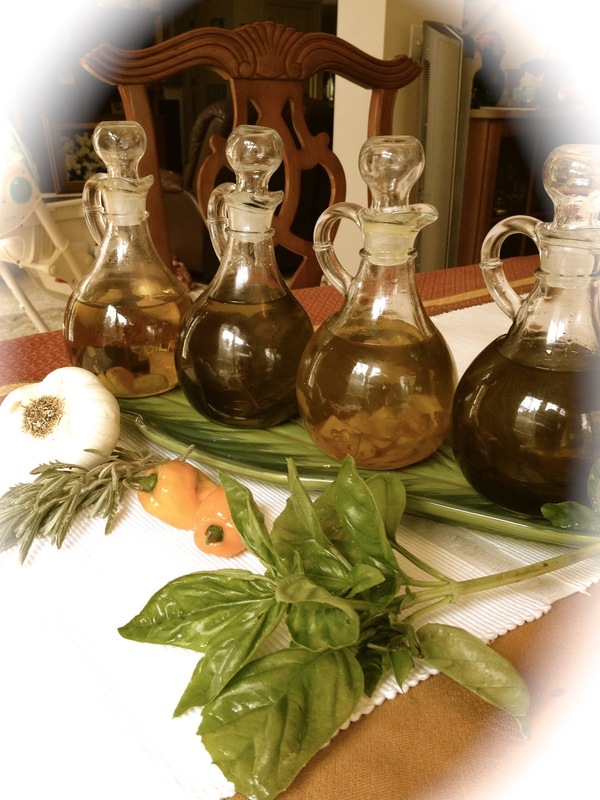 I have, of course seen infused oils many many times in stores, But with all the fresh herbs and spices in my garden, I was eager to make my own. It was thus I ended up with 4 different ones – Basil, garlic, habanero & lavender. But for the garlic that was store bought, the rest are fresh from my garden and the end result is really spectacular. 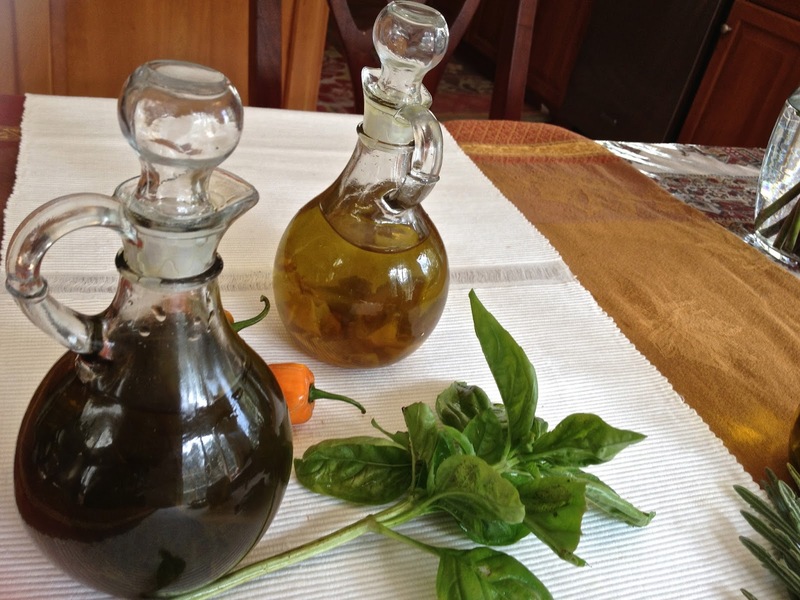 2 sprigs of basil or lavender in about 8 ounces of olive oil; 3 habaneros or garlic pieces thinly slivered for the same amount of oil. What I got from this experience – Making something exotic does not require time, but it does require the right ingredients. Will be back soon with more stuff, I promise! 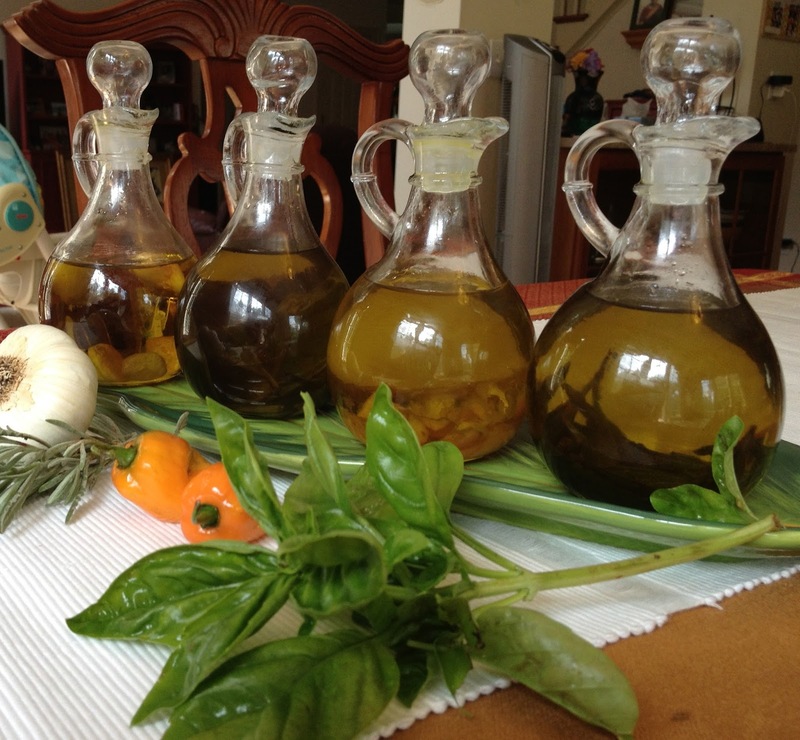 Very vibrant and lavish looking infused olive oil. You are so lucky to have a vegetable garden at your backyard. 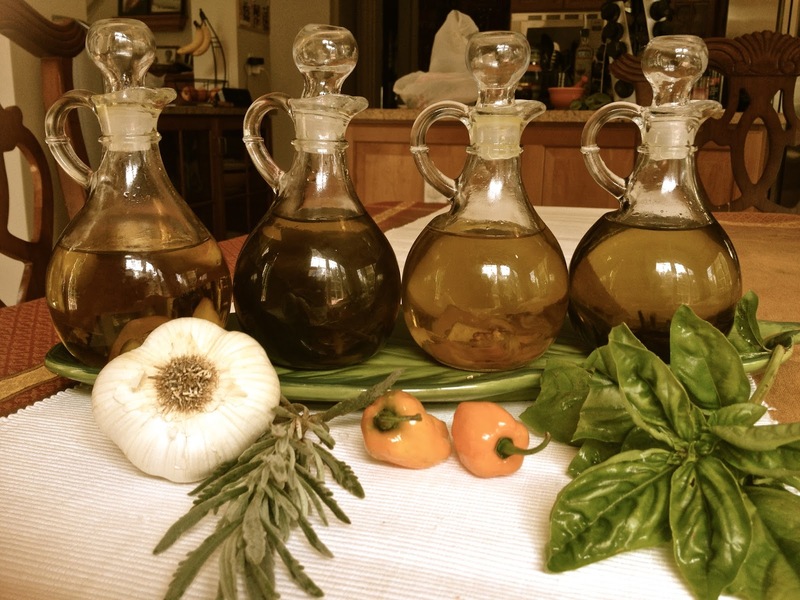 Incredible and terrific infused oils,i'll go for the basil one. Your post hit such a familiar chord. I just wrote about my daughter's big step, it is hard for us on the parental side of the coin. 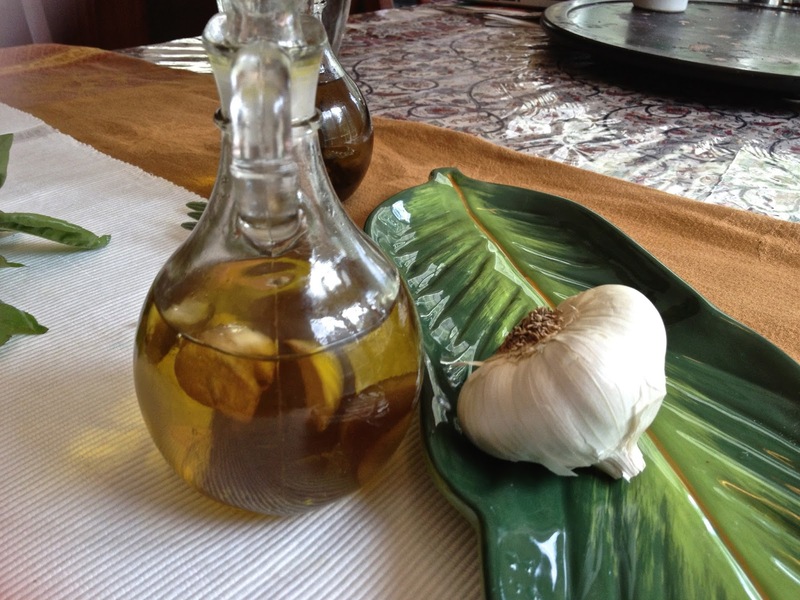 Infused olive oil is a brilliant way to use the fresh herbs.